In 1994 Jörgen was contacted by Ben Marlene, the singer of the former group “Trance Dance”. Marlene, now working as a creative manager, wondered if Jörgen would be interested in writing a song for Swedish recording artist Carola, whom three years earlier had won the European Song Contest. Jörgen wrote, “Guld i dina ögon” (in English “Gold in Your Eyes”) which at that time became Jörgen’s biggest national hit and enjoyed substantial radio airtime. This led to recognition from a lot of people in the music business. One of them was Peter Swartling of Ricochet Records known for discovering Robyn, today one of Sweden’s most successful international artists. Jörgen, who had formed the band Hearsay along with British artist Pete James, was now signed by Swartling. It was decided that seven of the songs for the group’s album were to be produced by Per Magnusson and David Kreuger at Cheiron Studios in Stockholm. 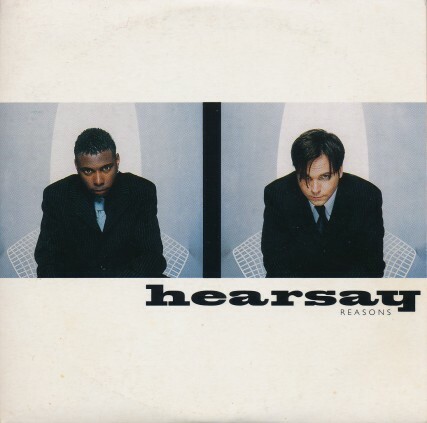 The recordings ended up taking almost three years, and in May of 1997 Hearsay released their one and only single, “Reasons”. An album never came out and the band soon broke up. In 1995, Jörgen had been signed by BMG Publishing where he would stay for twelve years. Dr Alban was one of Sweden’s hottest artists and Jörgen wanted to work with him. The collaboration ended up with Jörgen getting two of his songs on Dr Alban’s album, “Born in Africa”.